Wirth Confirms LMP1 For 2012; HPD Contract Renewed. 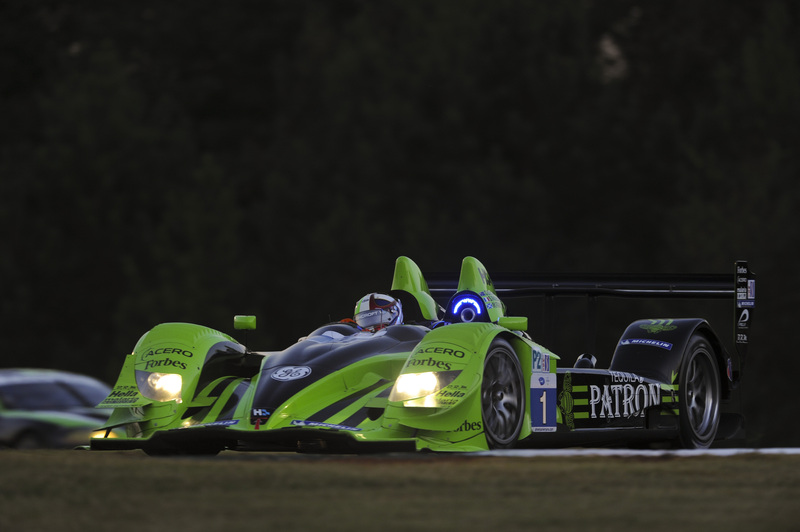 Highcroft Racing's Wirth Research-designed ARX01c during the 2010 Petit Le Mans. Having rounded out successful seasons on both sides of Atlantic with it’s HPD-branded ARX-01c chassis, Wirth Research has revealed the company’s future plans and details of the renewed partnership many endurance fans had been hoping for. In a recent announcement Wirth Research founder, Nick Wirth revealed the firm’s desire to further build on it’s endurance successes, unveiling plans to update the highly popular ARX-o1 LMP2 design to the now ‘d’ spec phase (i.e. ARX-01d) of it’s development life. The announcement arrives shortly after British squad, Strakka Racing confirmed their intentions for continued use of the chassis (coupled with HPD’s new 2.8L Twin-Turbo V6 powerplant) throughout the 2011 season within the LMP2 category. Wirth also provided details of a renewed multi-year partnership with HPD, and immediately announced the firm’s intention to enter the LMP1 category under the HPD banner with a coupe design as of 2012. Further details regarding the package and programme are not yet known. Additionally, Wirth Research will also provide a further iteration of the ARX01 chassis bearing the designation ARX-01e, updating the chassis to 2011 LMP1 specifications. The chassis is rumoured to be destined for the garage of an as yet unconfirmed US team. Reigning ALMS LMP champions and long-time HPD stalwarts, Highcroft Racing have, as yet not confirmed the details of their 2011 programme. This entry was posted in ALMS, AsLMS, ILMC, LM24, LMS and tagged ALMS, ARX01d, ARX01e, Coupe, Highcroft, Honda, Honda Performance Development, HPD, ILMC, Le Mans, Le Mans 24 Hour, LM24, LMP1, LMP2, LMS, Nick Wirth, Strakka, Wirth, Wirth Research by SportscarGeek. Bookmark the permalink.